But the Board now has held three discussions about the possibility of advance zoning land the Commission feels should be developed, even if the landowner hasn't asked for the land to be rezoned and may not want it developed. A Transfer of Development Rights program has been offered as a way to protect the rural nature of the southern part of the county while allowing for potentially different types of development than currently allowed in the county's north. Prezoning is being offered as a way of landing another major development in the north of the county following the success of Oconee County and Athens-Clarke County in landing the Caterpillar plant last year. A 14-member citizen committee unanimously endorsed the broad idea of a TDR program early in 2009 and recommended that the commissioners move forward with development of a specific plan. The prezoning initiative is being led by commissioners Jim Luke and John Daniell, who pushed this idea at the Jan. 24 "visioning" session of the BOC and have dominated discussion of the topic in two subsequent regular BOC meetings. Whether either of these initiatives will result in change in how the county handles zoning remains to be seen. The initiatives are at odds with each other in that any land prezoned prior to the initiation of a TDR program would lesson the effect of the TDR program by removing that land from consideration. On the surface, the odds for adoption might seem to be with a TDR program. The citizen committee appointed by the BOC to study TDR programs reported on Jan. 27, 2009, and the BOC immediately instructed Wayne Provost, director of Strategic and Long-Range Planning for the county, to develop a detailed scope of work and generate a request for proposals for a TDR consultant. But Provost didn’t do anything until late last year, citing the slow-down in the economy as the reason. Provost appeared before the Citizen Advisory Committee on Land Use and Transportation Planning at the Committee's Nov. 13, 2012, meeting and reported that the county was issuing a request for qualifications for persons who could help the county develop a TDR program. Agenda items, Committee Chair Abe Abouhamdan informed the Committee just last month, are set by BOC Chairman Melvin Davis or BOC members. At that meeting in November, Provost, who is the BOC liaison to the Committee, gave an overview of the county’s discussions of a possible TDR program. At the Committee's Feb. 19 meeting, Provost said that the county had received responses to the request for qualifications from Rick Pruetz of Hermosa Beach, Calif., and Ross and Associates of Atlanta. Provost said he thought both would be qualified to submit proposals should the county issue a request for proposals. But Provost hasn’t publicly reported back to the BOC to ask it to authorize that next step. A TDR begins with the idea that the owner of every piece of land has the right to develop it. 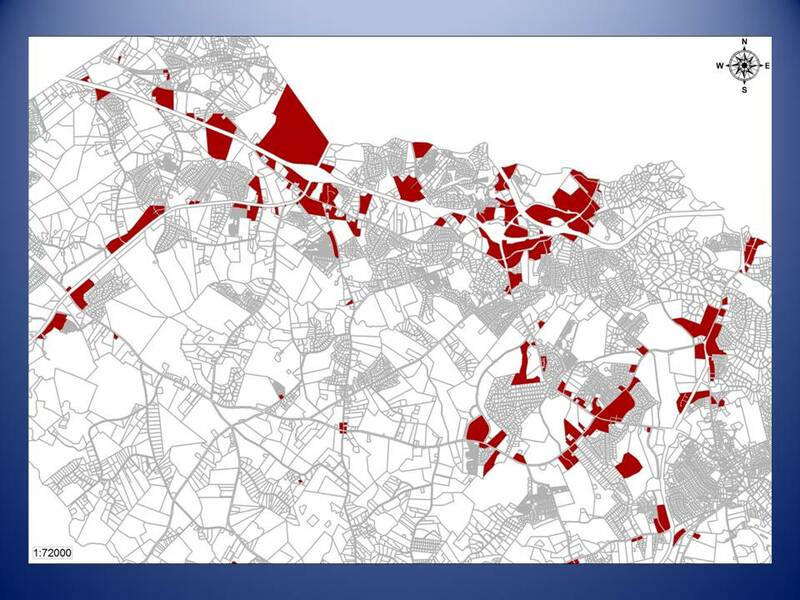 Through a TDR program, however, the county would designate certain areas of the county as appropriate for future growth and certain areas that would be better left undeveloped. A developer in the receiving area, by buying the development rights, would be able to develop more densely or achieve some other development advantage defined by the county. The land owner in the sending area selling the development rights would agree to place deed restrictions on the land that would limit future development. Provost told the Land Use and Transportation Planning Committee at the Feb. 19 meeting that he did not think anyone had “figured out” how to make a TDR program work in Georgia, though he acknowledged TDR programs had been successful in other states. He said an attempt to create a TDR program in Chattahoochee Hills in the south of Fulton County had not worked because landowners opposed the program once it was put in place. Mike Morton, city planner from Chattahoochee Hills, told me when I talked to him by telephone on March 4 that the city’s TDR program is still in existence though there hasn’t been a market for the development rights so far because of the downturn in the economy. Morton said two property owners sold their development rights to a TDR bank operated by the Chattahoochee Hill Country Conservancy, but no one has yet purchased those rights. In response to my question about any initial opposition to the TDR program, Morton told me in an email message of March 5 that, on the eve of incorporation of Chattahoochee Hills in 2007, one landowner sought annexation by the neighboring city of Palmetto. On June 18, 2012, the city of Milton in North Fulton County also passed a TDR program, and that program remains in existence. Michele McIntosh-Ross, principal planner for Milton, expressed quite a bit of enthusiasm for the program when I talked with her by telephone on Feb. 27. She said the city had passed an enabling ordinance in January of this year and, though no transactions involving development rights have been completed, she expected the program will be used in the future. City Planner Robyn MacDonald said the same thing when I talked to her by telephone the next day. “It is going to need time to develop,” she said. The city of Atlanta also operates a TDR program. The program allows an owner to transfer development rights from a sending property, such as a historic property or a green space, to a receiving property, such as a multi-family residential or mixed-use development. The program is active and was used to preserve the Margaret Mitchell House, a three-story structure built in 1898 and where the author was living when she began writing “Gone With The Wind,” according to the web site Smart Preservation. Preutz, one of the two qualified applicants for proposing a TDR program in Oconee County, edits that web site. The Atlanta TDR program is spelled out in Chapter 28 of the city code and has been in existence at least since 1995. Provost’s skepticism about TDR programs fell on receptive ears in the Land Use and Transportation Planning Committee meetings, where no one countered the view that this has not worked in Georgia. “The concept of a TDR program is very complicated,” Russ Page wrote me in an email message on March 12. Page, an advocate for farmland protection in the county, has worked tirelessly to keep the idea of an Oconee County TDR program alive. Page mentions TDR programs frequently at BOC meetings, including at the most recent meeting on March 5, when the commissioners decided to appoint a new committee to advise it on farmland protection. Commissioner Luke brushed Page’s reference aside. Initiation of a TDR program “requires that you be willing to be a leader, not a follower,” Page wrote to me. It is “not for the weak or timid,” he added. Commissioners Luke and Daniell say they are trying to be leaders in getting the county to prezone property they think is suitable for commercial or business development. Luke, in particular, has long advocated for prezoning. It also has been a topic of discussion in meetings of the county’s Industrial Development Authority. The IDA owns the 100-acre-plus Gateway Industrial Park on SR 316, but it has not yet found any takers for that property. Part of the land is in Bogart, but the part in unincorporated Oconee County already is zoned for development. One problem with the site is that the county’s land is split by another piece of property not owned by the county, but the IDA declined to exercise its option to purchase that piece of private property after voting to do so last year. Luke and Daniell said at the day-long “visioning” session the commissioners held at Veterans Park on Jan. 24 that it was time to move beyond Gateway. As an outgrowth of the discussion at the January meeting, Oconee County Planning Director B.R. White reported to the commissioners on some planning options at the BOC meeting of Feb. 26. White also identified potential problems with the path Daniell and Luke were pursuing. Of that acreage, only 995 acres are built out, meaning that only 30 percent of the land zoned for nonresidential development already has a building on it. White told me when I talked with him in the Planning Department office on March 1 that his figures were only for the unincorporated parts of the county. Any prezoning by the BOC would not affect the acreage in the county’s four cities. White told the BOC that landowners often don’t want to rezone their land until it is ready for development since they pay a higher tax rate once the land is rezoned. He also said that a landowner who has been paying a higher rate likely would object if a tax break were given to a landowner whose land was prezoned by the county. That didn’t deter Commissioner Daniel, who said he felt the county could find a solution to that problem. At the BOC meeting on March 5, County Attorney Daniel Haygood told the commissioners they were proposing to change 40 years of county zoning policy with their prezoning initiative. At present, the county reviews individual requests for zoning change after holding a public hearing where citizens get to voice their concerns. Luke cited specifically the property behind Lowe’s and Wal-Mart in the county’s commercial center on Epps Bridge Parkway. He wants that rezoned immediately so anyone who wants to build on it can do so without further review by the BOC. Planner White suggested the county survey developers, particularly any who decided not to come to Oconee County, to determine if zoning truly is an issue. No one picked up on the suggestion. “Sometimes if you pull on a thread, you may wind up unraveling some things you don’t intend to unravel,” Haygood warned. He asked the Commission to give him, White and other staff more time to consider prezoning befor taking any action. Daniell said he didn’t want it to be a year before Haygood and White come back to the BOC with suggestions. The Commission agreed to reconsider advance zoning at its next meeting on March 26. The full video of the zoning discussion at the Feb. 26 BOC meeting is immediately below. The full video of the zoning discussion at the March 5 BOC meeting will be available shortly.